While we can assist you with essentially any restoration or cleaning project, our primary services are fire damage restoration, water damage restoration, smoke and soot puffback cleaning, content cleaning and pack-out services, mold remediation, air duct cleaning, and carpet cleaning. By leveraging our professional-grade sanitization solutions and equipment, as well as our construction expertise, we will restore your property to its original condition. Our representatives are available 24 hours a day at (631) 206-6808. In emergency situations, we can be at your property within the hour. In Nassau County, NY, water damage is a common, yet serious issue for property owners in residential and commercial settings. This is due to the consequences of unique weather conditions, as well as general problems such as overflows, leaks, and more. 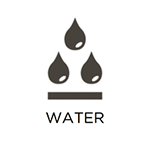 At RestorationMaster, we address these complications through our water damage restoration services. Excess moisture and standing water should never be left alone because of the damage it can cause to structural elements, personal belongings, and more. This is why we will remove all moisture through our advanced equipment and methodologies, and then fully sanitize affected areas. Homes and commercial buildings are vulnerable to flooding at virtually any time. Severe weather and natural floods can lead to flooding indoors, as well as major leaks, burst pipes, and sewage backups. You must react to indoor flooding quickly because the water will spread through porous materials and eventually lead to significant structural damage and mold. At RestorationMaster, we can help homes and businesses in Nassau County, NY that have experienced indoor flooding with our flood damage restoration services. We use advanced extraction and drying equipment to ensure that the flood water is removed, and we will also clean and sanitize the damaged areas. Here at RestorationMaster, we combat the consequences of infernos through our full fire damage restoration services. If you ever have a fire on your property, you should immediately dial 911 and evacuate personnel. We then encourage you to contact our representatives. Fire can cause tremendous destruction in little to no time at all, but the aftermath can cause damage for hours and even days afterward. We reduce these risks by repairing structural elements, sanitizing affected areas, and restoring your belongings. We proudly service property owners in Nassau County, NY. 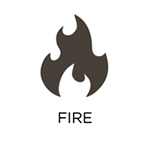 In the event of fires and furnace puffbacks, smoke, soot, and other corrosive byproducts are released into the air. This is dangerous because these elements can continue to cause corrosion, etching, and discoloration in certain materials. To make matters worse, they are known to travel through air ducts and circulate throughout buildings. Our RestorationMaster technicians understand this behavior, and will eliminate potential risks through our smoke and soot puffback cleaning services. By utilizing proper chemical cleaners, and restoring affected items, we will leave your property and belongings in their original condition. We provide this service to those in Nassau County, NY. 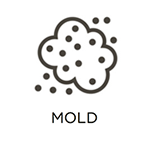 Mold is a unique nuisance for homeowners and business owners across the nation; however, this does not mean that those in Nassau County, NY, should discount it. This is because mold growth is unique in all of the wrong ways. It can feed off of common construction materials, and only needs a little bit of excess moisture to take hold. Once it does, it continually spreads its spores, and poses a risk to other areas and belongings. This is why we offer mold remediation services here at RestorationMaster. Our technicians will locate mold growth on your property, contain it so that it does not spread as we work, remove it, and then restore any affected structural elements and personal items. Here at RestorationMaster, we offer content cleaning and pack-out services to those in Nassau County, NY, to address damaged personal belongings in the case of severe events. Natural disasters, fires, mold growth, and more are notorious for significantly damaging buildings; however, personal items, important documents, and valuables can be harmed, as well. Depending on the status of your property, our technicians can repair, clean, and deodorize your belongings either on-site or at one of our climate controlled facilities. In the case of the latter, we will even store your items until your property is in a suitable condition for them to be delivered. Air ducts, as well as HVAC systems as a whole, should be regularly cleaned by professionals every year or so. This is because of the variety of allergens and debris that can cake the insides of these ducts, reduce the quality of your breathing air, and even lower your HVAC system’s efficiency (which results in higher energy bills). Here at RestorationMaster, we offer full air duct cleaning services to address these problems and more. We offer this service to both homeowners and business owners in Nassau County, NY. As many property owners know, carpeting can play a prominent role in establishing either a positive or negative impression among guests. This is true in residential and commercial applications. This is a major reason why it is generally recommended to get carpeting professionally cleaned annually. Debris becomes deeply embedded within carpet fibers (beyond the reach of standard vacuums), and causes discoloration and deterioration over time. Here at RestorationMaster, we will remove this debris, treat stains, and repair damaged areas of your carpeting. We provide this service to home and business owners alike in Nassau County, NY.